Burnham Beeches Hotel is a superb 18th Century house in Buckinghamshire, and a wonderful wedding venue for a couple who want to keep all aspects of the day in one venue. When I met Aurelie and Patrick there last year to talk about their wedding photography, they were with their 6 week old daughter Rose. Now she’s 18 months old, and full of energy. 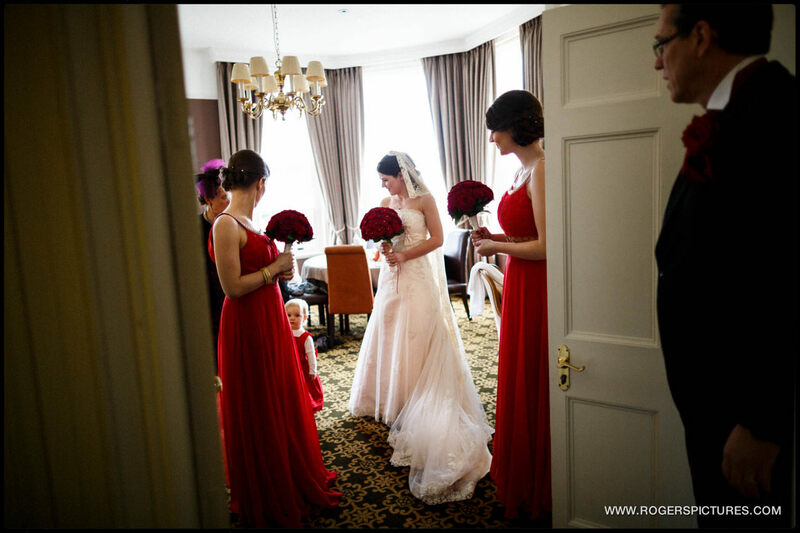 With her pretty red matching dress, she had a wonderful day surrounded by her family as she played a pivotal part in her parents wedding. The day began with the preparations, and as everyone was staying at the hotel, I was able to capture some of Patrick’s preparations with the groomsmen. Then, with the guests assembled downstairs, Aurelie walked into the room behind the bridesmaids and her daughter. After the ceremony we shot come portraits and group photographs on the lawn outside, before the guests had drinks and canapés. It was Rugby International day, and with Aurelie’s family being French, there was much interest in the proceedings of Wales v France in Cardiff. The home team won, but the passionate reactions from the brides family added to the pictures. I recorded audio during the speeches, and will post the PhotoFilm here later. Dessert was a sumptuous table of French cheeses, with the addition of a large chunk of English Cheddar, which went down well on both sides of the Channel. After the first dance, the party really started to get going with music from the incredibly talented guitarist Laura Williams, which is just about where documentary wedding photography my coverage ended. 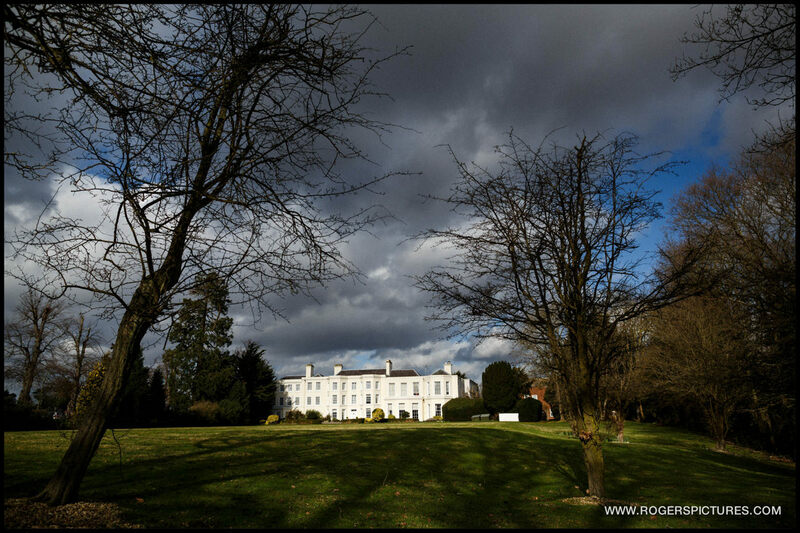 If you’re getting married and are planning a wedding here and are interested in me as your Burnham Beeches Hotel wedding photographer, please get in touch for a quote. 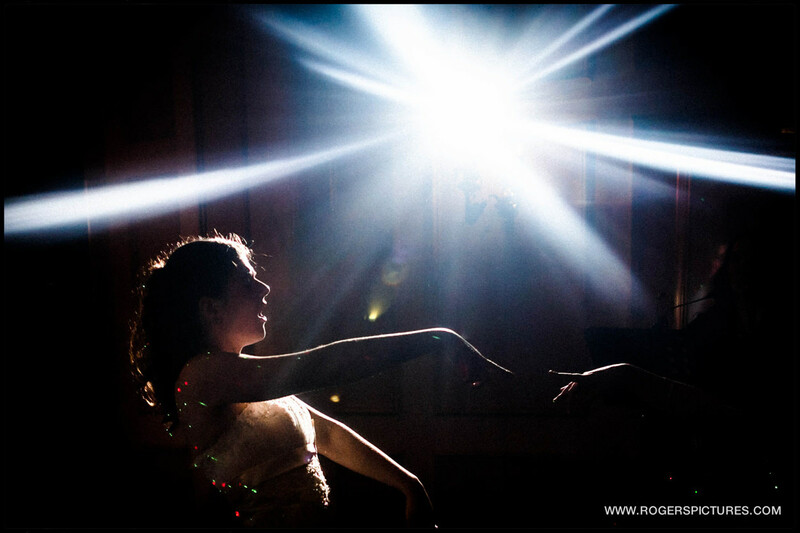 Be sure to check out some more of my low light wedding photography in the winter. 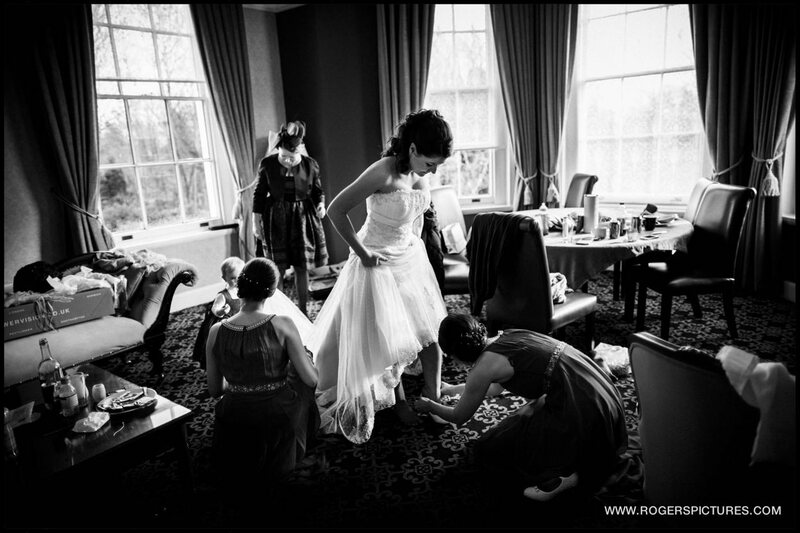 You might also enjoy an International wedding at Babington House, or some St Michael’s Manor wedding photography.